Clutter comes out of nowhere, disrupts your peace and can severely undermine your zen. Sometimes all it takes to fall in love with your space is to eliminate the extra stuff. If you needed a little extra motivation to tackle your mess, this should help! Chances are you&apos;ve experienced the messy-desk phenomenon. Work seems ten times harder when your desk is cluttered. The fact is, the human brain functions best when it&apos;s not surrounded by an abundance of stuff. It&apos;s even backed by science; we focus better and process information more efficiently when our physical environments are spare, neat and organized. If you can&apos;t declutter because there&apos;s another unfinished to-do at every turn, you might have a problem. It&apos;s not healthy, or practical, to have tangible reminders of things you need to do or once intended to do stacked on your desk, occupying space on your countertop or collecting dust on your shelves. Giving yourself permission to let go of some of those projects (or setting a time limit to finally deal with them) will revolutionize your perception of your space and your life. There&apos;s a difference between surrounding yourself with inspiration and surrounding yourself with stuff. So while some artsy types thrive in a messy studio, most of us spawn our best creative work when we&apos;re in a more minimalistic space. 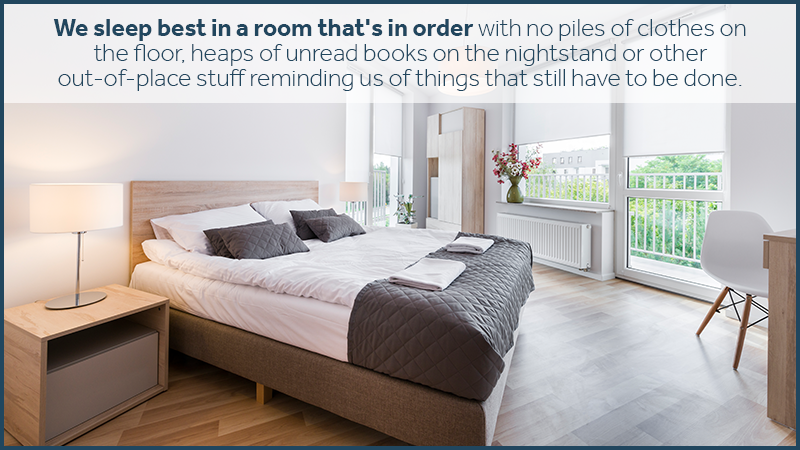 Unorganized spaces can even mess with your sleep. We sleep best in a room that&apos;s in order with no piles of clothes on the floor, heaps of unread books on the nightstand or other out-of-place stuff reminding us of things that still have to be done. Think of it this way, when your belongings are at rest where they should be, your mind can rest better too. 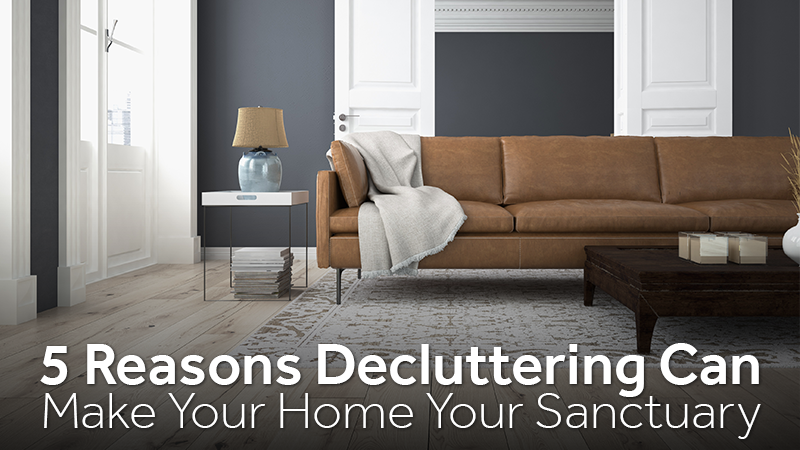 Clutter affects your mood and self-esteem. No matter how great everything else in life is going, if your home or office is full of clutter, it&apos;s easy to start feeling like you don&apos;t have it together at all. One study linked a high density of stuff to higher levels of stress in female homeowners. When you have less to clean, you have less to worry about, greater confidence in your surroundings and fewer reminders of unfinished projects. People who declutter a room, closet, basement or entire home usually report feeling an instant mood and energy boost when they&apos;re finished. If you need help getting stuff out of your house, Zippy Shell of West Houston offers storage and moving solutions to deal with the stuff that&apos;s keeping you from your best life. Contact us today, and we&apos;ll answer all of your questions!